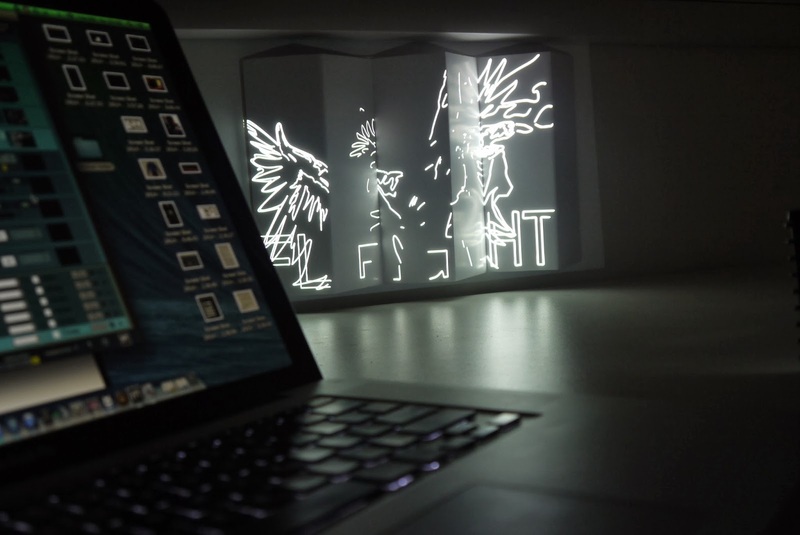 Working independently, students create a meaningful projection-mapped sculpture in the DC Studio. Students build a physical sculpture element using prepared boxes, simple furniture, found objects. This may be assembled as a floor-based piece, hanging piece, or wall piece. The idea is to use these objects as bare projection surfaces so either white or light-coloured objects should be used. The projections could both add to the surface of the objects and highlight around objects.